Magie Relph's passion for African textiles, heritage and design began in the 1980s, as she spent several years travelling and working all over Africa as a cook on an overland expedition truck. She made her first patchwork quilt on the road, collecting scraps of African fabrics as she travelled. She sewed them together into patchwork to kill the time at border posts. Bob Irwin got hooked on Africa as a ten year-old in his native Canada. His teacher Mr. Wilson - who was born in Angola and taught for years in Nigeria - gave him an African porcupine quill. It took twenty years of dreaming, but he eventually got there, joining Magie in the overland business as a tour leader, driver and mechanic (sort of). After getting married in Nairobi, they gravitated back to the UK. Magie continued to develop creatively as a textile artist and quilter. Bob became a technical author in an exciting new sector called 'the internet'. Meanwhile, Magie - encouraged by her patchwork teacher Janice Gunner - started doing talks and workshops for patchwork, embroidery and textile groups, always bringing along some goodies for sale from her growing stash of African fabrics. 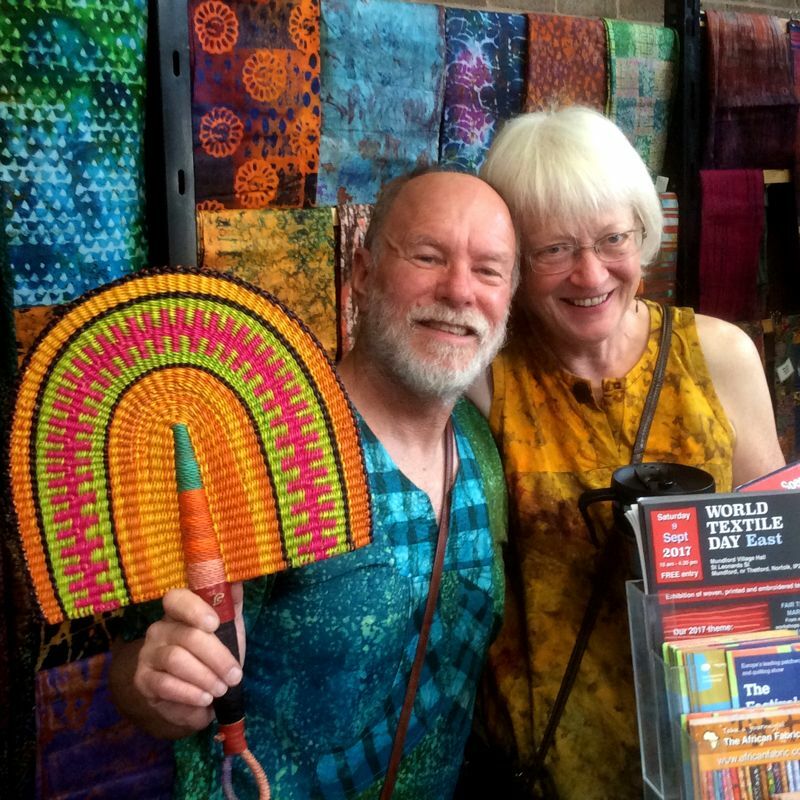 By the time Bob built the first African Fabric Shop website they were back on the road in Africa researching, documenting and buying even more African fabrics. 'And where did they store this stash of fabircs,' you might wonder? In their modest three bedroom house in the Pennine village of Meltham in West Yorkshire. As they bought more fabrics - and then beads, and then baskets - the ratio of shop to home space tipped way beyond the balancing point. Something had to give or their sanity surely would have. The solution came out of the blue when their local postmaster and good friend James moved on and left the village post office vacant. As an experiment, they moved in and it worked. Today, you'll find the shop just around the corner at 33B Greens End Road, Meltham, HD9 5NW, where they hold monthly Open Days and are also open by appointment. 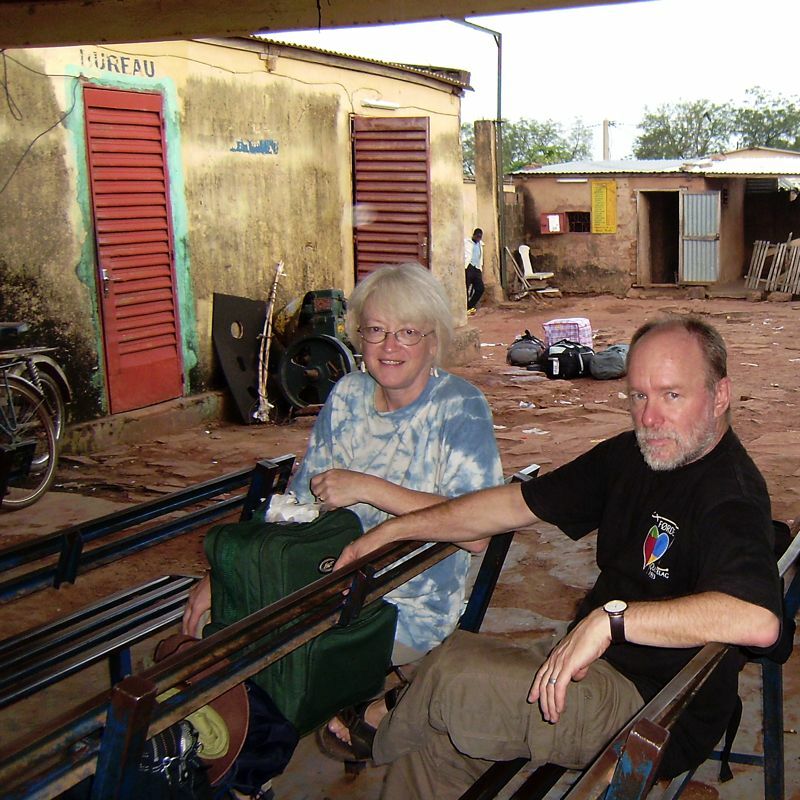 Magie and Bob continue to travel extensively all over Africa, searching out fabulous textiles and beads. 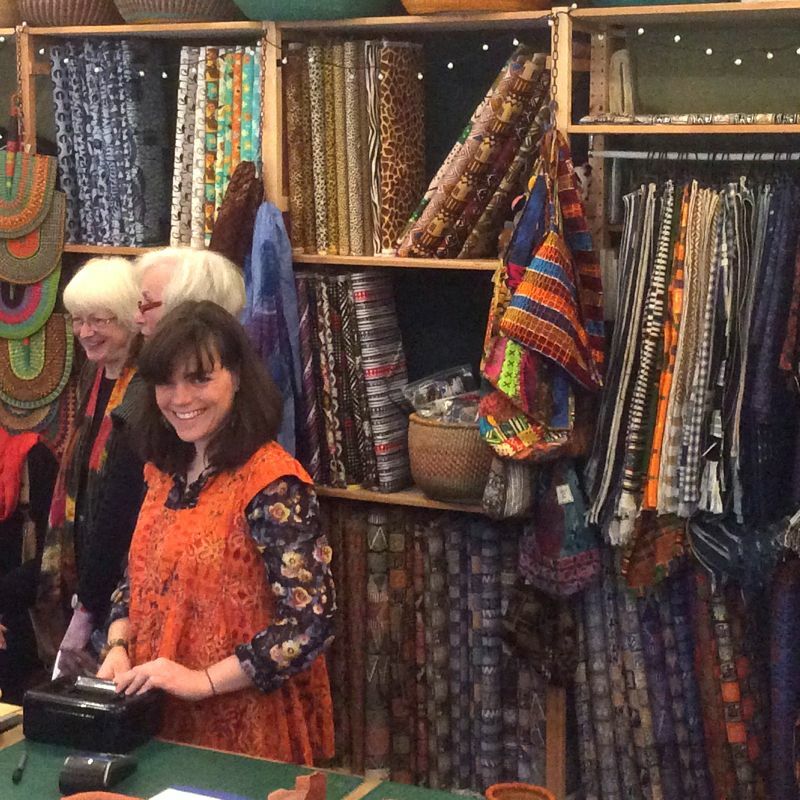 When they're travelling in Africa - and even when they're not - their outstanding assistant par excellance Jenny Hall takes the reigns of The African Fabric Shop in their absence. Baptism by fire: Jenny Hall's first day in the shop was our always frantic Christmas Open Day and Quilt Sale!